ServiceMASTER by Disaster Associates goes LIVE! Rochester NH based ServiceMaster by Disaster Associates, Inc. launched its new CMS-enabled website designed by PCS Web Design. 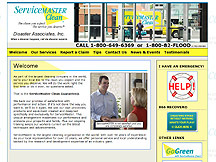 This ServiceMaster Clean franchisee contracted PCS Web Design to help them use their website to bring in more business, provide information, services, and documents to their existing customers, as well as provide information on their extensive lineup of service offerings. 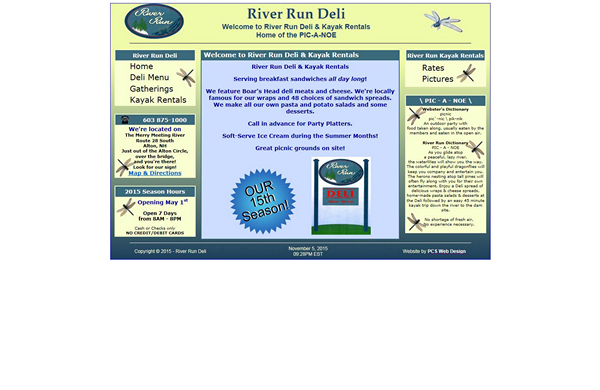 The River Run Deli and River Run Kayak Rentals are popular destinations in Alton, NH. Owner Vicki Howard, who doesn't own a computer and runs both businesses at the same location, approached PCS Web Design in response to continually fielding questions from her patrons about why she didn't have a website. Her basic business website gives visitors all the information they need from the deli's menu, hours of operation, and directions to her kayak and canoe rental rates. The businesses and website are going strong and Vicki still doesn't own a computer! 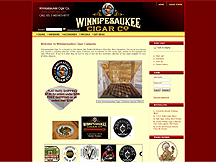 Winnipesaukee Cigar Company launched its newly designed, e-commerce website. PCS Web Design worked closely with the proprietors to deliver a CMS-enabled e-commerce solution that met both the aesthetic and functional goals of the company.